Sam was born in Macclesfield, Cheshire, on 17 July 1895, the son of George (Labourer) and Sarah Ann (née Pickford or Evans) Wheeldon. He had a younger brother, John William, and two younger sisters, Gertrude (died 1903) and Priscilla. In 1901 (Census RG 13/3269) they were living at 1 Alma Terrace, Fairfield. The 1911 Census (RG 14/21234) shows that three more children, Mabel, Leslie and May, had been added to the family, now living at 17 Onward Cottages, Fairfield. Sam was working as a "Caddie", presumably at Fairfield Golf Club. In November 1916 Sam's father received 5d [2p] returned 'effects', with a further £7 'War Gratuity' following in 1919. (£7.02 is worth about £295 today - 2016.) After the War the family moved again to 6 Cliff Road, Fairfield, Buxton. The 10th Sherwood Foresters was formed in Derby on 13th September 1914 and allocated to 51st Brigade, 17th (Northern) Division in Kitchener's Second New Army; it remained in that brigade and division for the whole of the war. They trained in England at Lulworth and Wool, and in May 1915 the division moved to the Winchester area for final intensive training. On the night of 14/15th July 1915 Sam's Battalion crossed into France, landing at Boulogne, and for the remainder of the War served on the Western Front. However, his Medal Index Card shows that Sam entered France on the 29th December 1915, so he must have joined later as a reinforcement. In 1916 Ernest's Battalion was involved in fighting at the Bluff (south east of Ypres on the Comines canal), part of a number of engagements officially known as the Actions of Spring 1916. "The Bluff", is an artificial ridge in the landscape created by spoil from failed attempts to dig a canal. With the additional height in an otherwise relatively flat landscape, The Bluff was an important military objective taken by German forces in February 1916. The Battalion was in action again at The Battle of Albert (1st - 13th July 1916), in which the Division captured Fricourt. This was the opening battle in the infamous Battle of the Somme and was where Sam lost his life. According to the War Diary the 10th Battalion moved up from Morlancourt on the 1st July. 'A' and 'D' companies went to Becourt, and 'B' and 'C' companies went to Bonte Redoubt. "The advance was eventually pushed on through FRICOURT WOOD as far as the line of its Northern edge at about 5pm. At this point the advance was again held up, RAILWAY ALLEY being strongly held and the wire uncut. On the left the advance was more successful and LOZENGE ALLEY from FRICOURT FARM exclusive was in the hands of the S. STAFFS." On the morning of the 3rd July the attack on Railway Alley continued, with the 10th Battalion in reserve, and the following day was relieved by the 52nd Brigade, and marched to billets in Ville. The Battalion history lists Sam as being killed in action, on the 5th July "... during the attack on the German positions near Fricourt, Somme, France." 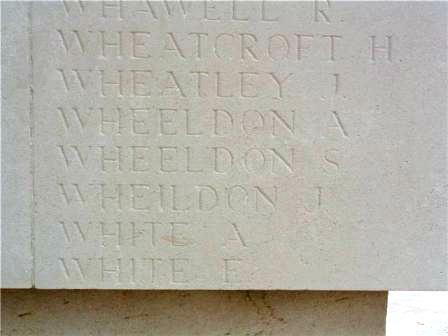 The CWGC, however, gives the date of his death as between the 5th and the 10th, so not surprisingly, he has no known grave. Five Officers and 63 men of the 10th Battalion lost their life in the first week of the Somme Battle. The War Diary recorded: "... Total casualties during the operations 1-11 July: 15 Officers, 366 Other Ranks or roughly 40% of total strength." The CWGC shows that 87 Officers and men of the 10th Battalion were killed or died of wounds between the 1st and 11th July, 38 of them on the 7th. 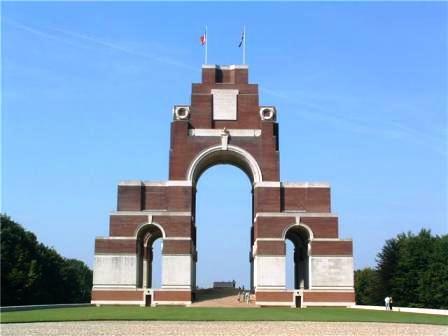 Sixty-five of these men have no known grave and are commemorated with Sam on the Thiepval Memorial. · Another Buxton man, Private 18140 Ernest Goodwin also served with the 10th Battalion and was killed in action the day before Sam. 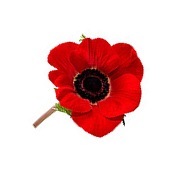 · I am grateful to Martin McNeela for additional information about the 10th Battalion.